Coins on a table… a recurring image appropriate for a thoughtful coin owner or collector at the holiday season. Whose were these small circles of toning metal? You can be sure that they were possessed by many, over time. Though you may never know the details, each piece provides a small opening to what might have been. Start with what you do know about each one. Who gave them to you? Whether family or friend, you and the person who gave a coin to you are only the last of a long line of people, places, and events – however great or small. As you think this over you will perceive a context for what is, at its heart, an artifact of the past. Remembering further that in this moment you and that coin are a part of the vast continuum of human experience. 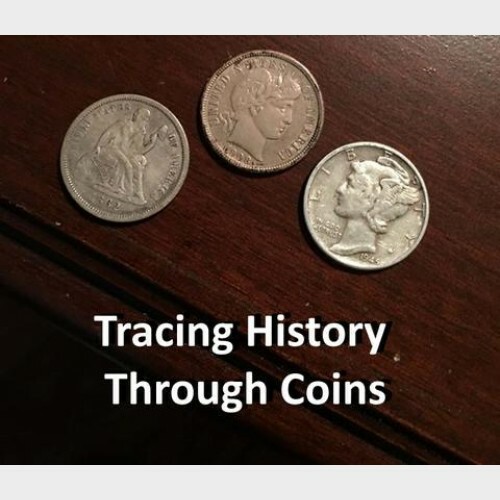 And just as you descend from literally thousands of individuals that people the dense foliage of your family tree, a coin – any coin – descends from a myriad of person-to-person transactions of daily living on continents and in nations during the many centuries of commerce and tradition. Doesn’t the Roosevelt dime in your day’s end change relate to the Mercury dime that your uncle pocketed on his way to war, the Barber dime in your great aunt’s store, or the seated Liberty dime spent at a Gettysburg rooming house during the hot July of 1863? 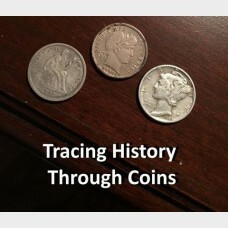 In fact, it traces its roots to the very first Federal coins – silver dimes struck in the home of the man selected to be the nation’s first coiner at the humble building purchased and renovated by the founders for the Philadelphia Mint in 1792. At our venerable establishment, London Coin Galleries Mission Viejo, we learned a long time ago that each collection and each collector has a unique perspective on this activity. We appreciate your patronage. And we wish all of you the fullest enjoyment of the season!